A maths and physics teacher from a secondary school in a remote village in Kenya’s Rift Valley has won the $1 million Global Teacher Prize for 2019, organizers have said. 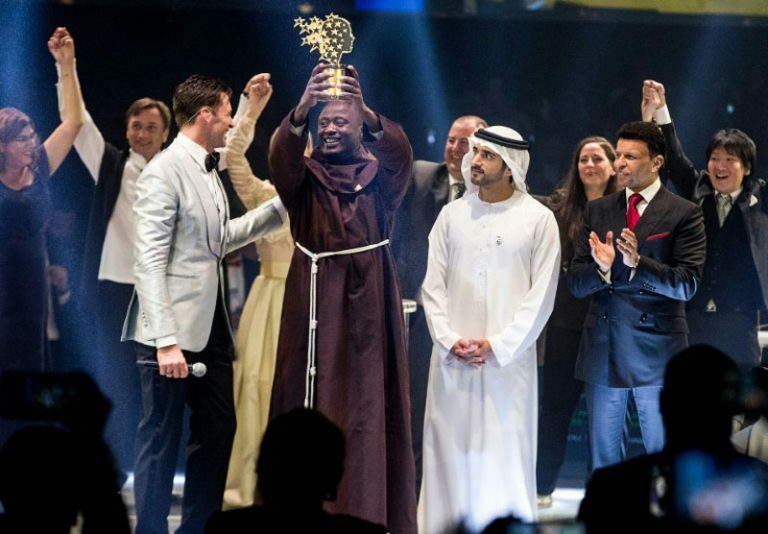 Peter Tabichi, who organizers say gives away 80 percent of his monthly income to the poor, received the prize at a ceremony Saturday in Dubai hosted by Hollywood star Hugh Jackman. “Every day in Africa we turn a new page and a new chapter… This prize does not recognize me but recognizes this great continent’s young people. I am only here because of what my students have achieved,” Tabichi said. The Dubai-based Varkey Foundation, which organizes the event and handed out the prize for the fifth time, praised Tabichi’s “dedication, hard work and passionate belief in his students’ talent”. To get to school, some students have to walk seven kilometers (four miles) along roads that become impassable during the rainy season.